Our Cousin Gary RV Sales Manager can answer all your questions and will make your inquiry his priority. Call us today at (530) 275-6089! We carry the best in New RVs! Cousin Gary the regional Rv dealer known for the best value and price in quality RVs! From our carefully selected inventory of new RV’s, you’ll be sure to find the Travel Trailer or 5th wheel you’ve always wanted. Come in and see the quality of the #1 selling Cougar products. And best of all, you’ll find them at a price everyday people can afford! When you shop with Cousin Gary, rest assured, you shop with the best! 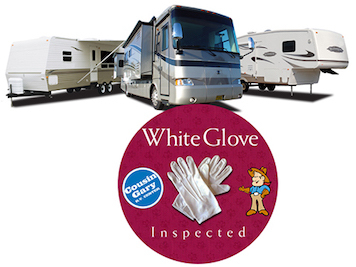 Looking for a great deal on a used RV? 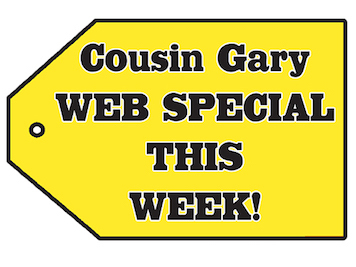 At Cousin Gary’s we’re constantly taking trade-ins so our Pre-Owned inventory is priced to move! Browse our selection and compare our prices… we’re sure you’ll find an RV that fits your budget! 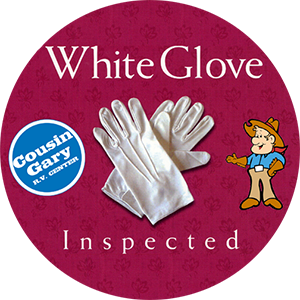 All our pre-owned RVs are covered by the famous Cousin Gary 75 point “WHITE GLOVE” inspection. 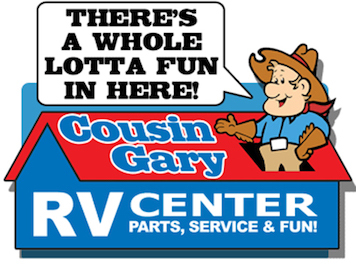 And remember, at Cousin Gary RV Center, we’ll treat ya right! Cougar by Keystone is a leading manufacturer of RV’s and since 1998 has received many awards for excellence in the RV industry. Cougar vows to provide the top travel trailer and fifth wheel floor plans and features to maximize each person’s unique camping experience. By avoiding fads and trends, Cougar has been able to focus more on innovation, quality, style and affordability that customers rely on and appreciate. Think of Cougar as America’s #1 selling brand and it’s forte is building an RV where luxury and lightweight come together. Enjoy exploring the country in a Cougar RV!